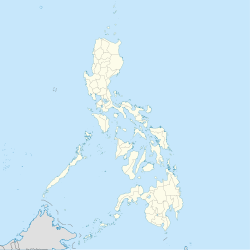 Tangub, officially the City of Tangub (Cebuano: Dakbayan sa Tangub, Tagalog: Lungsod ng Tangub) or simply referred to as Tangub City, is a 4th class city in the province of Misamis Occidental, Philippines. According to the 2015 census, it has a population of 63,011 people. In the 2015 census, the population of Tangub was 63,011 people, with a density of 390 inhabitants per square kilometre or 1,000 inhabitants per square mile. Tangub, through its Sinanduloy Cultural Troupe, is a regular participant of the Sinulog Festival, a festival held in Cebu City. This festival is the pageantry of sights, sounds and colors as it honors and pays homage to the patron saint of Cebu, Sr. Sto. Niño, the child Jesus. The highlights of the festival is from January 9–18, yearly. Tangub City has won a record of twelve grand champion streak in the Sinulog-Based Category of the festival. Tangub is the Christmas Symbols Capital of the Philippines. Tangub City has its own festival - Dalit Festival. It is in honor of the city's patron saint, Saint Michael the Archangel. It is celebrated every 29 September-the feast day of St. Michael. It is participated by the city's baranggays through clusters represented by local schools. ^ "Province: Misamis Occidental". PSGC Interactive. Quezon City, Philippines: Philippine Statistics Authority. Retrieved 12 November 2016. Wikivoyage has a travel guide for Tangub.